Try out all the new game modes today. If you have been wanting to pick up Blizzard Entertainment’s hit team-based shooter, Overwatch, then you’re in luck. The game will be going on sale for half off on PC, selling for $24.99 instead of the usual $49.99. It is a sale that Blizzard usually has from time to time, but just in case you missed it, catch it today. Overwatch has had plenty of content added over the past few months, especially with the addition of the newest hero, Baptiste. He’s a unique support hero with some pretty game-changing abilities. His skill set is not too hard to understand, but the timing of some abilities will need some getting used to. Additionally, the sale is just on time for Overwatch‘s newest seasonal event, “Storm Rising.” Storm Rising is another story-driven co-op mode where players can experience different moments in Overwatch history. By playing the game and its co-op modes, you can also unlock different skins, highlight intros, emotes, and sprays specific to that event. In Storm Rising, you’ll play as an Overwatch strike team consisting of Genji, Mercy, Winston, and Tracer, as they hunt down Maximilien, an omnic robot who handles finances for the international terrorist group known as Talon. 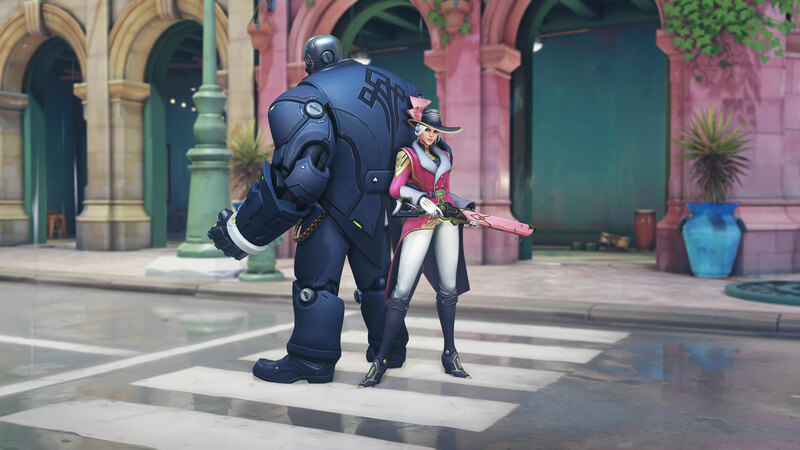 You can play on new maps like Havana while also hunting down a sinister and reclusive robot during this new event. Additionally, you can hop into some competitive play to see where you stack up against some of the world’s best Overwatch players. Pick up the game while the sale goes on until Sunday, April 28.